Where is the cheapest gas in Iceland? Water is basically free – don’t shop for water, bring a bottle and refill at restaurants or during WC visits. You might even be able to refill at rivers if it’s clear you are good to go! 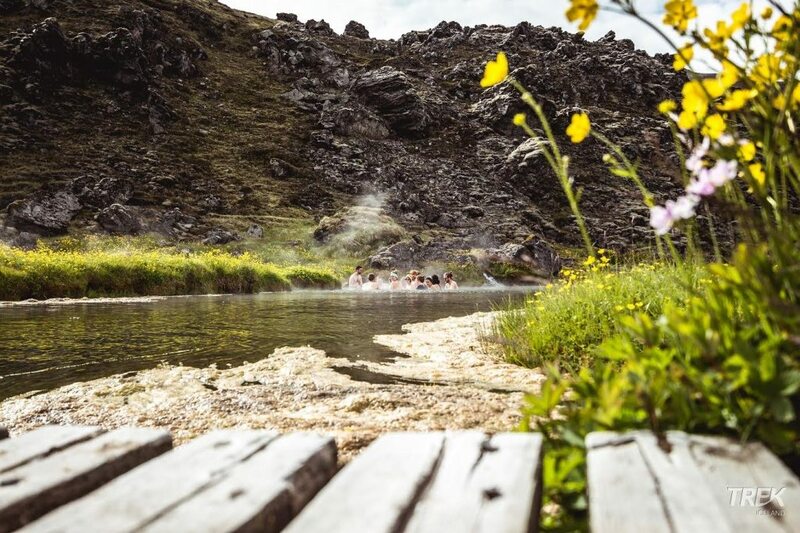 Swimming pools are under 1000 ISK – a visit to one of the numerous swimming pools Iceland has to offer is cheap and a great way to shower, especially if you are staying in a tent or a camper van. Visit waterfalls it’s free – at this moment every single waterfall in Iceland can be visited without a charge. Make the most of it. 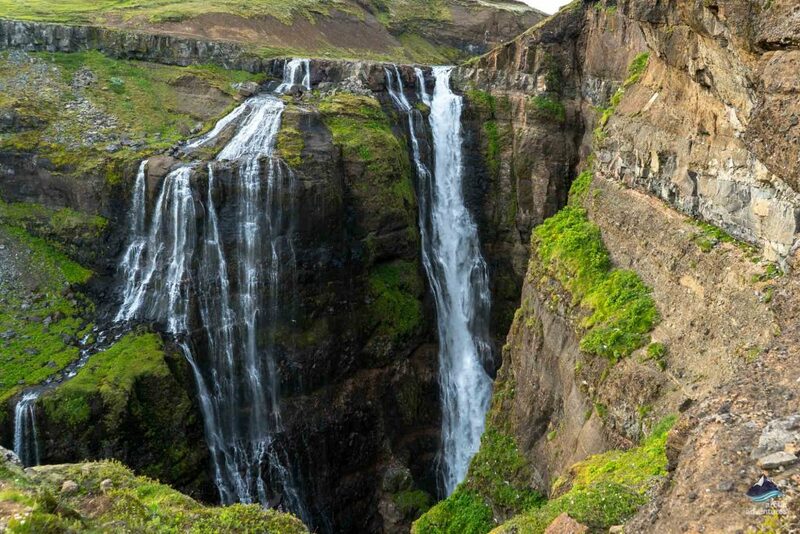 Here is a list to help you: Top 10 most beautiful waterfalls in Iceland. Take the bus in Reykjavik – it’s much cheaper and there is a very efficient app to help you try checking out bus.is it’s super helpful. Hitchhike – This is the safest country in the world. Even solo travelers are hitchhiking a lot. Also, a good way to meet locals and get tips. 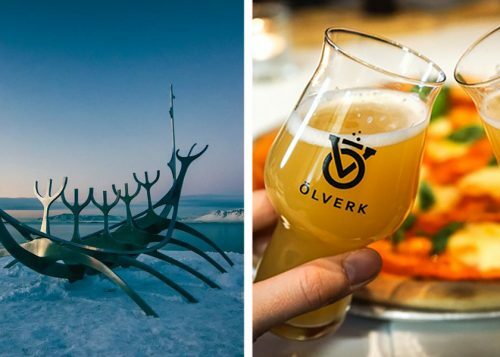 Buy alcohol at the airport – ATVR or Vínbúðin is where you buy alcohol BUT it’s crazy expensive AND has limited opening hours especially when you are outside of Reykjavík. HOT DOGS – they are delicious and super cheap. Icelanders love them; more about that here. For all you veggies out there sorry! 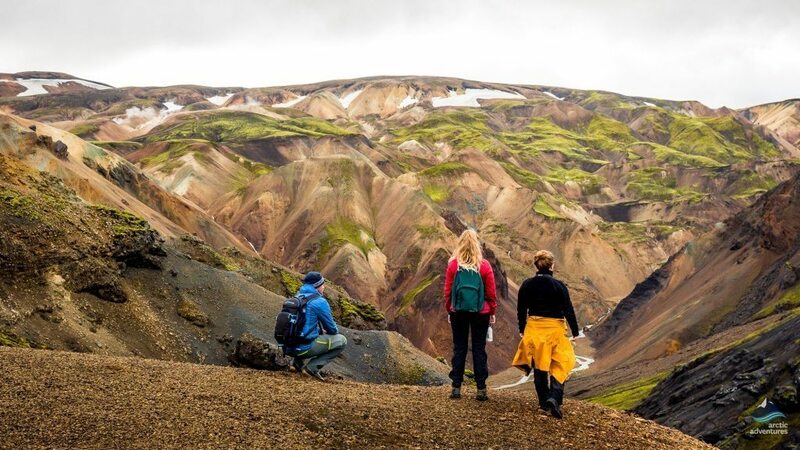 Take a hike – most mountains around Reykjavík are well marked and busy with locals all year round so this makes a great option. You can take the city bus to the roots of both Mt. Esja and Mt. 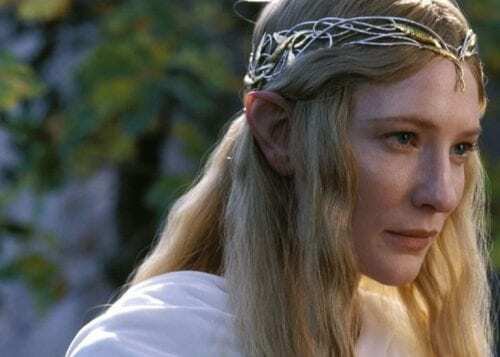 Úlfarsfell. Always, always be on the lookout for the happy pink pig with a yellow background. 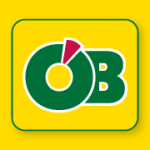 This is where you will find the cheapest groceries. 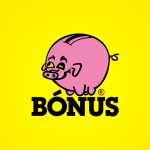 To find your nearest Bónus shop click here. 7 ICELANDIC Car Snacks or Food to buy at the grocery shops – Ideas! When you travel to a new country its often super fun to visit a grocery store. 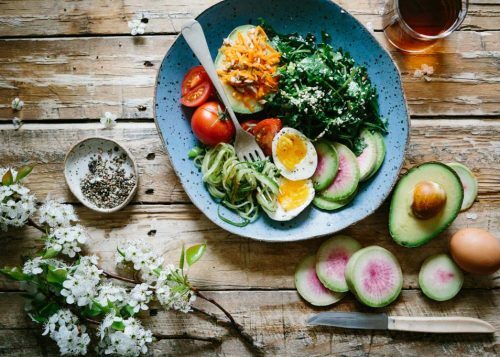 The only thing is that with a new language and new things in the shelfes you often don’t know what to get, let alone if you are trying to keep your budget. Fear not, I am here to help. Here are my ultimate fav, go-to snacks when I am trying to save some money but need car snacks for an Icelandic road trip. Skyr – the Icelandic yogurt, tastes amazing and usually comes in containers with spoons. Perfect for keeping in the car and is okay still when not super warm. Sómi or Júmbó sandwiches – This family-owned company has been making sandwiches since 1978. Kókómjólk – Chocolate milk from Iceland. Every local’s favorite. Hleðsla – Protein milkshake comes in different flavors. Flatkaka með hangikjöti – This literally means flat baked/cooked bread and hanging meat. This is a very original dish in Iceland. So buy flat bread, Icelandic butter, and hangikjöt. Spread the butter over the flatkaka and then put a slice of hangikjöt on top, close it with another flatkaka and you have yourself the most Icelandic snack EVER! 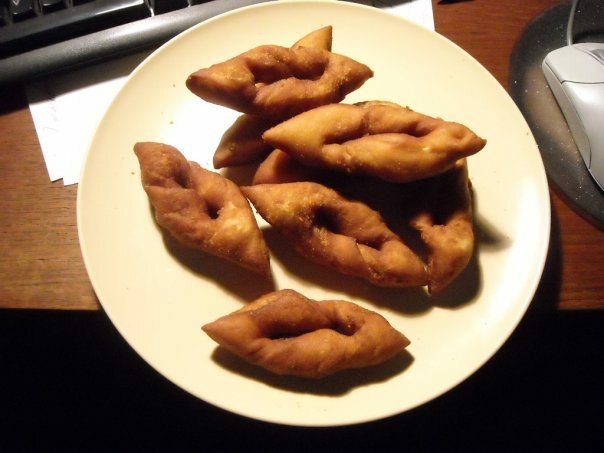 Kleinur – A bag of twisted doughnuts will go along the way on a road trip. Harðfiskur – Dry fish, this is another Icelandic delicacy, best served with A LOT of butter. But be aware, this smells. Like a lot! Now that Iceland has Costco that’s where you will find the cheapest gas. If you have a membership load up before leaving Reykjavík. After that on the list is usually where there is only self-service. So the golden rule for buying gasoline for the best price around Iceland is going to the gas stations that don’t have any other service, no shop, no employees or anything. A common, popular choice and they are available everywhere! Just try booking with notice. If you are okay with sleeping on a random person’s coach do! This is the ultimate cheap option. This option is getting to be very popular amongst Icelandic people. My sister does it all the time and loves it but again with this option, you need to start planning with a good notice. A great idea when visiting Iceland in summer. You get 2 for 1, car and accommodation. Just be careful to park where it’s allowed! 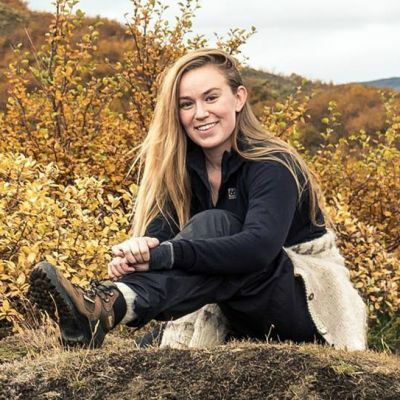 Icelanders have pretty much but up camping sites everywhere and it’s very cheap to camp and instead, you have a place to stay and usually the option of showers, clean bathrooms and a place to fill your water bottle. Budget Friendly Tours – under 15.000 ISK. 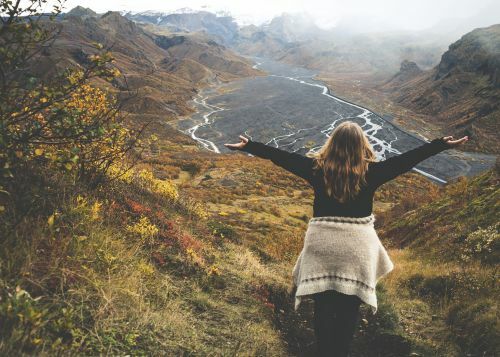 There is no need to be afraid of tours in Iceland where you are on a budget it’s just all about finding the right tour. FROM REYKJAVÍK – pick up included or still under the price limit. 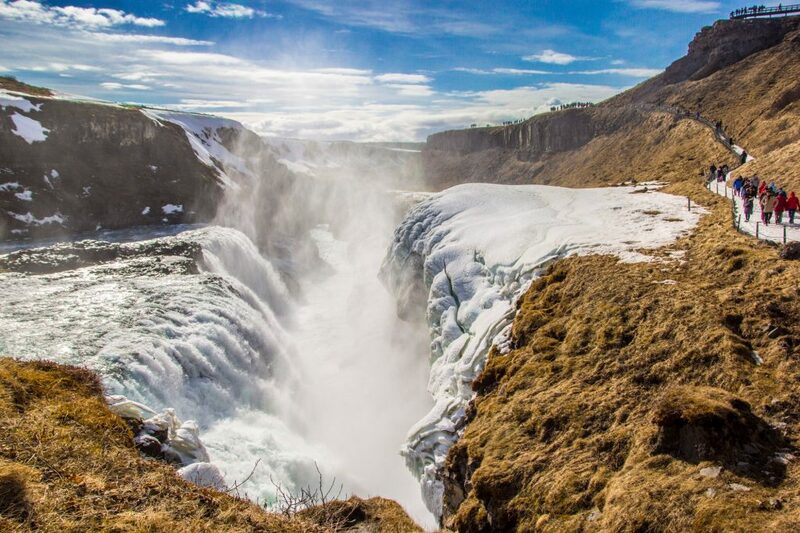 An excellent choice – covers all the highlights, Gullfoss waterfall, Strokkur geyser and Þingvellir national park and then also includes a dip in the amazing Secret Lagoon at the geothermal paradise Flúðir. The royalty of the sea. There are a few things in this world as breathtaking as seeing a whale in its natural habitat. This is an experience you will never forget. Also, the company is so certain that you will see a whale that if you don’t, you can come back for no extra cost! Explore the magic of the underworld. 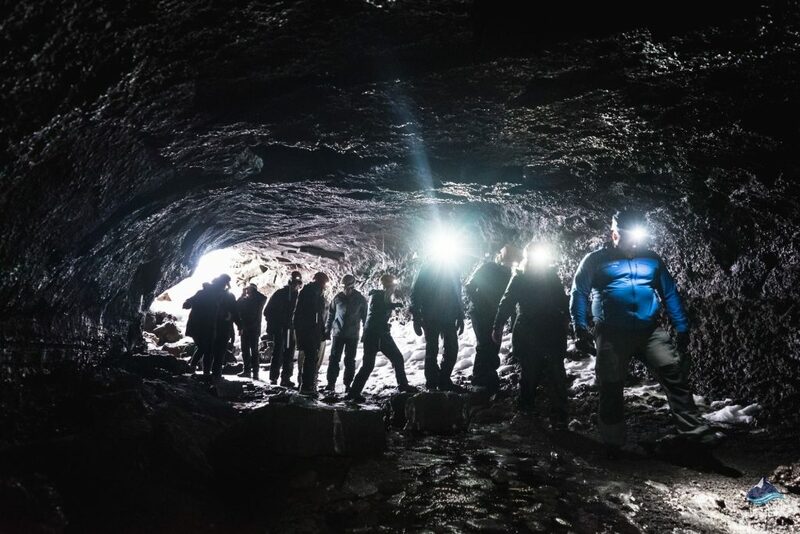 You thought Iceland was beautiful above ground, try going under. Here you will get to experience the charm of the volcanic activity of Iceland. 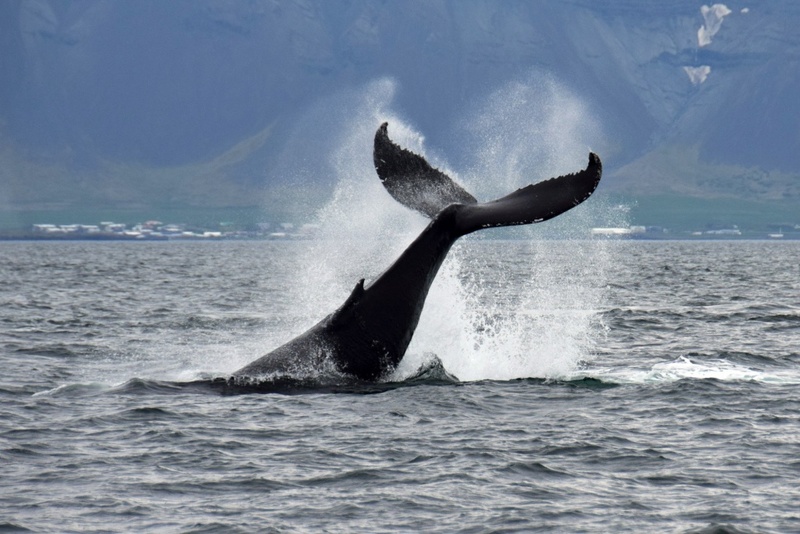 A half day tour and one of the most budget-friendly tours in Iceland. 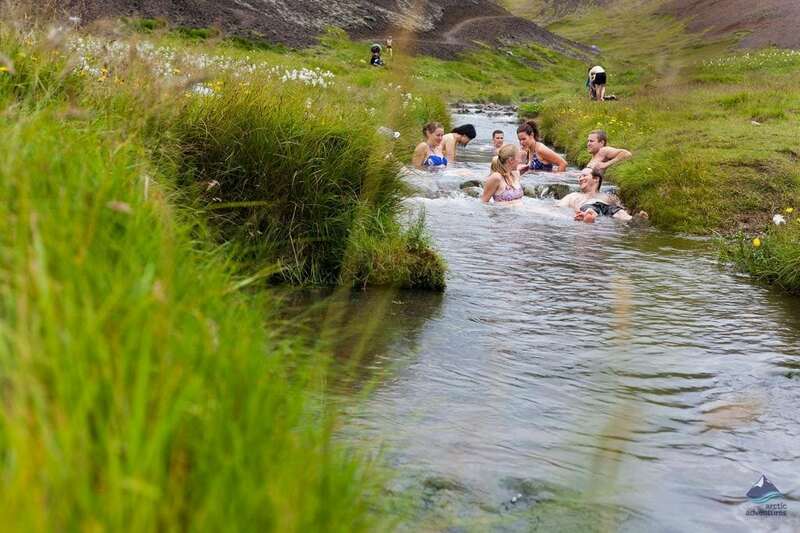 Drive to Hveragerði e. Geyser Garden and hike up to alluring Reykjadalur e. Smokey Valley. Really get to know the geothermal activity of Iceland, surrounded by steam and smoke for mud pits and hot pools before soaking in a hot river that flows through the river. This tour is great in summer and winter! Feeling like having a drink? 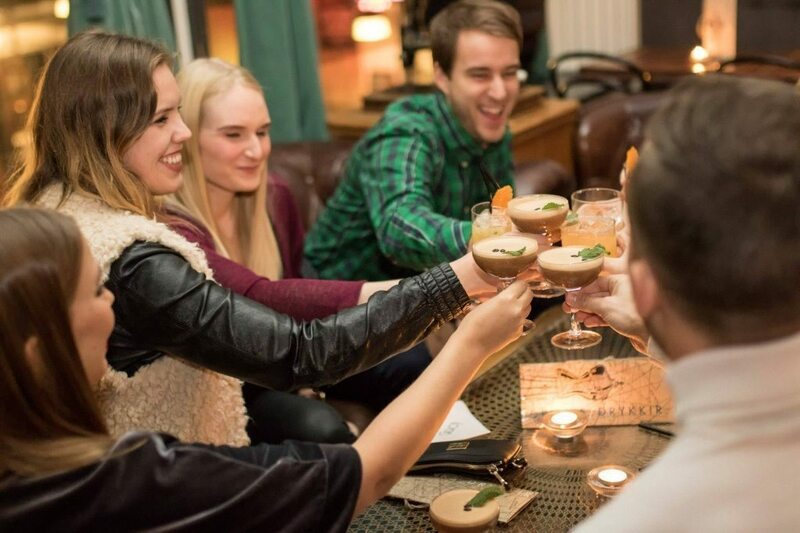 Why not get a lesson in how to drink, Icelandic style! Oh, the magic of riding an Icelandic horse. There is a reason Icelanders are so fond of this animal. The Icelandic horse has the fifth gate that no other horse breed has, it’s called tölt and it’s the softest out there. They are also known to be friendly, passionate and have big personalities. You just must try riding one! Glymur waterfall hiking tour – 12.990 the pick up 2000 ISK extra. This stunning waterfall is located inside the fjords Hvalfjörður. It was once the highest waterfall in Iceland but the Icelandic landscape is always changing so now it’s the second highest. The hike is gorgeous going through a cave and fertile hills. The story of the Glymur waterfall and surroundings is even more magical, we recommend the read. 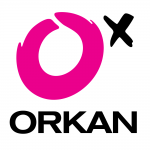 If you choose the early tour at 09:30 it’s only 9.500 ISK per person – that’s a price you will not see any place else. 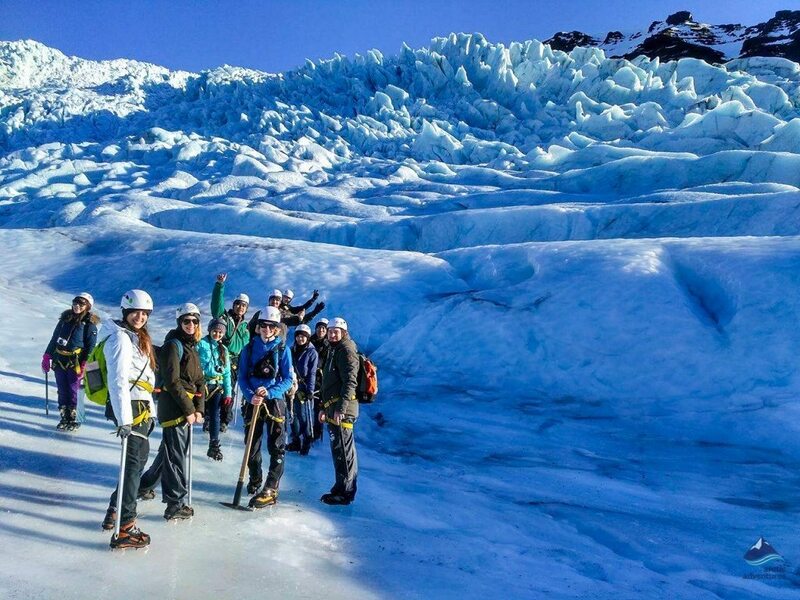 This is a great way to explore the Sólheimajökull glacier just about 2,5 hours drive out from Reykjavík. Perfect on the same day would be a visit to Seljalandsfoss and Skógafoss waterfall. This is the true local experience. 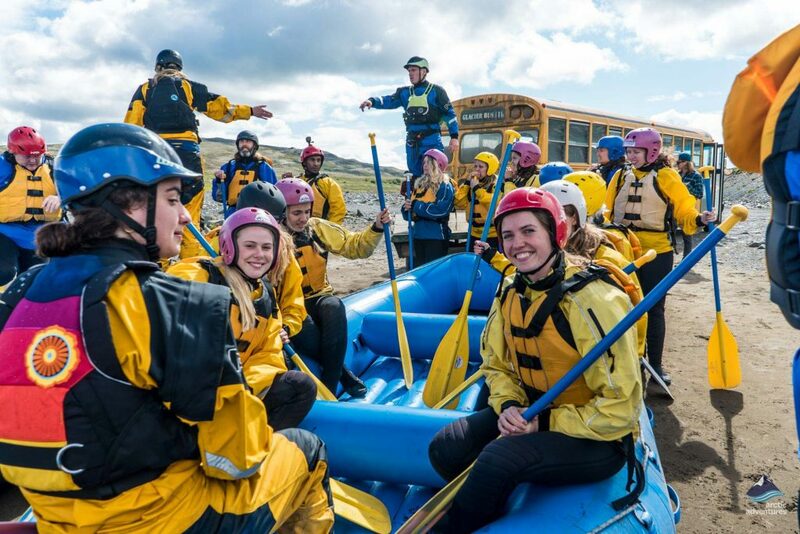 Icelanders celebrate graduations, weddings, anniversaries and much more with rafting trips. Join them for the great price of 13.990 ISK per person. You can add a beer tasting tour for only 2000 ISK extra. A great way to spend the day and close to the Golden Circle. We just can’t get enough of this place. Landmannalaugar is a geothermal paradise in the Highlands of Iceland. You’ll need a 4×4 car to get here but it’s so worth it even just renting it one day. The hike is in the most stunning setting ever, colorful rhyolite mountains and lava fields before bathing in a hot pool located under a lava wall. Hello, paradise! 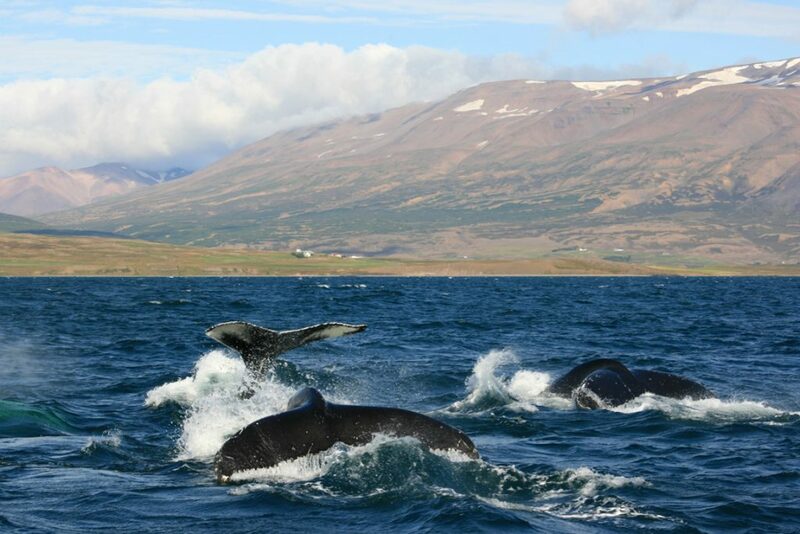 The North is known to be a playground for numerous whale species who nest near Dalvík and Akureyri. I swear it’s like they are planning to put on a show for us. This is a tour you’ll remember forever. Skaftafell is located about 5 hours away from Reykjavík. It’s a nature reserve and for many Icelanders the most beautiful place in Iceland. Here you will find Vantajökull the biggest glacier in Europe and from is an outlet glacier called Falljökull. This is the glacier you hike on during the Glacier Wonders tour. A must do while visiting the area. Do you have any cheap tips? Share it in the comment section below.